Work for Odoo Project Management.? Learning about Odoo Project Management.? "Effective and easy project management "
On previous occasions I had used project managers who are good but represent a workload. Odoo Project Management. on the other hand since I have been with the SF team has turned out to be a great and easy platform to develop and control projects until continuous collaboration and management of daily activities. I believe that its worth radiates in the simplicity of its board and in the ease of integrating with other platforms through its open source code. It is exceptional of the best without a doubt I recommend it. Maybe it has so many integration's separately with other proprietary and external platforms that its understanding in that specific segment can be complicated. A good explanation is necessary to understand what is required or what is not. When I met Odoo Project Management my curious thinking led me to analyze the tool in its entirety. I can say that it is robust and complete without falling into static. It is friendly, it is visually intuitive, which greatly facilitates its use. It is open source which allows generating many improvement variables and integrations. You can try, request demonstrations and your equipment is great. It seems an excellent option for any company. It solves the monitoring and control of projects, facilitating an easy and very visual platform that encourages the participation of collaborators. Organization of equipment. Promotes with its calendar and system of organization that the team either in office or what we are in a remote access in a timely manner to the different spaces for discussion of ideas as well as to face-to-face or virtual commitments with clients, allies and the same team . Respond as Odoo Project Management. Sign in to G2 to see what your connections have to say about Odoo Project Management. "Ease of use and implementation. Simple, yet powerful, fully internally integrated to all Odoo apps"
There are four predefined Forecast views, two of which are in Gantt format; and two in chart. The first, helps plan your projects or audit their planning. The second is very useful for statistics. Reports. I love the way Odoo's PM tool shows profitability per project at a glance. As well as the customizability of reports and creation of Dashboards. Responsiveness. It loads tons of info nearly instantly. Expenses and payroll management within tasks, as long as you have both modules and all dependencies installed and correctly configured. The lack of an internal option (without using Studio or BoMs from the Inventory Module) to assign material resources to a project in order to TEMPORARILY set them aside as to avoid overdrawing the supplies needed for a specific type of project. 1) Start as many databases in trial period as you need to get the hang of it. 2) Convince yourself this is the tool you need before you commit to a period or make any payments. 3) Make sure your sales rep is lpp@odoo.com She's really helpful and will stick with you until the end. I have never met anyone as devoted to her customers. Thanks to Odoo PM we are now able to control 4 branches, whereas before, we weren't able to keep track of events for the HQ alone. "A synchronized and quick project manging analytical tool"
It is an efficient and effective tool to monitor your project and also manages them very easily and firmly. It is completely customized and assists to manage your tasks with completely functional PM tools. An easy to use software. The features of it are a little tough to understand so learning takes the time. Apart rom that it is very good for use and apply. It it a must try software. Very good tool with attractive features. Although it takes a bit of time in learning in start but after that it becomes very easy to handle and use. Very fine to install with no complications. As a project manager it is a great and very incredible tool. Helped me in all the things and assisted me in managing my tasks and things very easily. By this it helps you in completing all your tasks and assignments in time thus keeps you safe in your job. "Organized and modern platform for the management of your projects"
"The best Open Source Project Management Software available"
The best thing about Odoo Project Management is that it is fully customisable and you can further develop this as per your needs and manage your KPIs and your tasks with fully functional PM tools and can integrate it with other softwares as well. It a fully integrated and customizable project management open source software and you can mold it as per your own requirements and business needs and this product is totally worth your time and wait. It has so may options in it which can be used as per your requirements. It is fully open source and you can develop this as you like and can be fully integrated with most usual platforms as well. Project Creation, Project Tracking, Timeline management, Resources allocation are the things which have been catered through this and were not possible with the other PM tools. It is very simple and easy to use and with the right team you can create an excellent software out of this. "This is a really good task management product! " Odoo Project Management has a modern and intuitive user interface. The dashboard is clean and makes the software easy to use. I also like the ease of customization of this software. The mobile apps are great and make it possible to use this product on the go. The only issue I can think of is the rather limited reporting. It's not as robust as those of other project management tools. This product makes it easy to track task, track time and for team collaboration. It's a great tool that has really improved our productivity. "New User - So Far So Good!!! " It's very, very user friendly! Everything is set-up in an easy to view, easy to navigate fashion, and although our business has only been using it a few weeks, so far it seems like an awesome software to work with. I'm new to the "Project Management" department, picking up some slack during the hiring process (I work in the marketing & accounting department usually) but so far I'm really enjoying my experiencing with Odoo. I used Salesforce a while back, at and older job so I'm fairly familiar with the basics on how to "sort of" manage a job. LOL ... sort of!!! Again, its very new, and as always it's a little difficult learning a new software, but the managerial department felt like all of the employees should at least familiarize themselves with the different software applications we use, just in case of transfers, absences, or in the case someone is promoted - there is a lot of shuffling around & room for advancement going on right now but everyone's pretty eager to learn). Give it a shot. It seems like a very solid investment, but again - I work in the accounting department where we'll still run a different software for a while, while this is being implemented, but because of a department shortage, I'm filling in, very part time, as sort of a backup project manager. I'm a bit more familiar with business software then some of the other guys (they work in jeans & dirty boots a lot lol) I was kind of "voted in" to help figure it out & try to get everyone up to speed. The guys seem to like it & I think it will work out wonderfully. So many changes going on right now & everyones sort of scattered and it can be hard to hold things together during job changes, etc. But we're managing & Odoo has held up to it's name it getting everyone organized! From what I've gathered this will be of most help to the Project Managers who have mulitple teams (of 6 or 7 people) to manage and also our clerk who is going to start keeping track of paper time sheets & gas expenses. Our techs still fill out paper time sheets but she collects them every morning & will be recording them along with weekly gas expenses. I'm hoping this works well for us. She's very excited about her new role & responsibility. 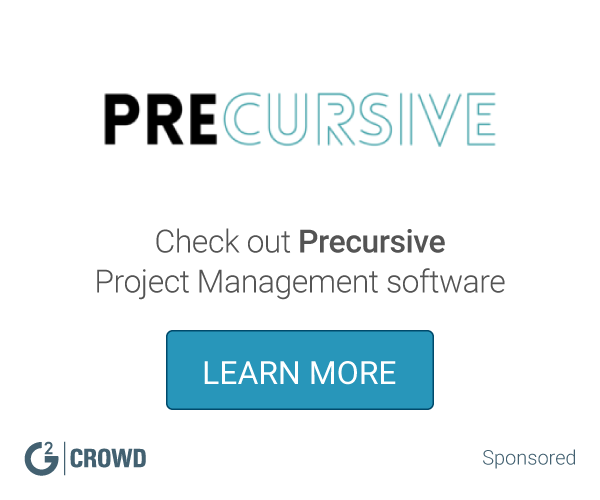 "Dynamize the management of your projects with this wonderful software"
"An alternative project management software"
The biggest perk is obviously that it's open source, and therefore free. The visual completion tracking is also nice. The complicated pricing scheme when it comes to add ons and integrations. The fact that the platform is basically a second-hand copy of Trello. Be prepared to pay for full features, or use other tools on the side. I was able to work productively and efficiently with it. I wish it just connected to more of my other tools. "A comprehensive ERP for the SMB customer"
For the Community Edition: it has a relatively big learning curve. Setup and initial configuration is crucial. I would have liked to choose between mySQL and Postgresql as some hosting providers does not offer Postgresql. there is nothing which would bother me. We can very well control our projects and invoice real time spent on tasks. 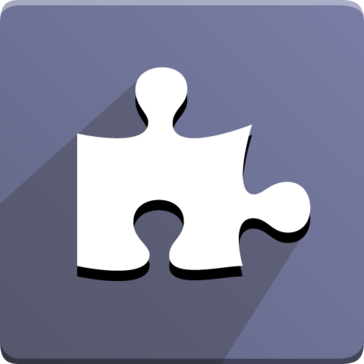 "Odoo Project management: All in all project management solution." Real-Time Collaboration: collaborate on tasks in real time with several users contributing to the same content. Cross platform tool, works seamlessly on mobile device. Haven't seen any disadvantages with the tool as of now. Odoo Project Management tool is one such tool PM that has almost all the project management features one would need to run the project. I would say, this is one of the best PM solution available in the market. We wanted a project management solution for our new team and we opted odoo. Odoo had made our job easy. Features help to track projects more effectively, and help team to be more productive. Which is awesome. You could schedule, monitor, analyze projects and also it has more and more features. I don't like that this tool can't create a link between organization and project. Tracking projects and connecting teams, also helps to prioritize and allocate bottlenecks easier. It was very easy to choose the type of app I needed (sales). Yoiu only get one completely free app. The rest give you two weeks to try them out, however. I am able to invoice entirely online. * We monitor all Odoo Project Management. reviews to prevent fraudulent reviews and keep review quality high. We do not post reviews by company employees or direct competitors. Validated reviews require the user to submit a screenshot of the product containing their user ID, in order to verify a user is an actual user of the product. Hi there! Are you looking to implement a solution like Odoo Project Management. ?